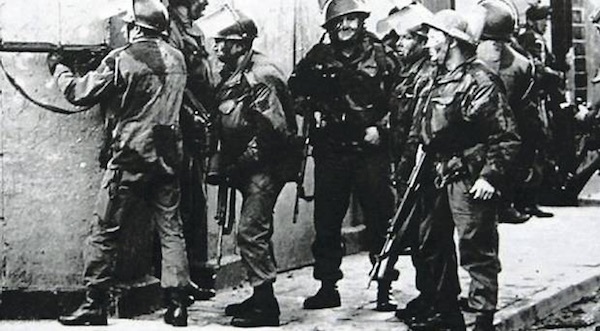 The family of one of those killed on Bloody Sunday has called for a final decision to be made about prosecutions after one of the British Army paratroopers who carried out the 1972 massacre died this week. The news came on the eve of the the 47th anniversary of Bloody Sunday. Kate Nash, whose 19-year-old brother William was killed and her father Alex injured on Bloody Sunday, said she is disappointed at the news that the soldier had died before he could be prosecuted. She said his evidence “would have been important” in the families’ quest for truth and justice for the victims. A decision on prosecutions is expected to be made by the end of February. Quoted by the Derry Journal, Ms Nash said: “I understand we are all getting old and that is why I would encourage the PPS to proceed quickly with a decision. She said that ‘time is of the essence’ for the families of those killed and wounded. The 47th annual Bloody Sunday commemoration march takes place in Derry tomorrow, Sunday January 27th. It will re-trace the route of the original 1972 anti-interment march and speakers will include Kate Nash, Bernadette McAliskey, Kathleen McCarry, whose brother Eddie Doherty was killed in the related Ballymurphy Massacre. An international guest speaker will be Hazem Jamjoum, from the Palestinian Boycott, Divest and Sanctions (BDS) and Right of Return campaigns. The march will leave from the Creggan Shops on Central Drive at 2.30pm. A rally will take place at the end of the march at Free Derry Wall. The march is not party-political.